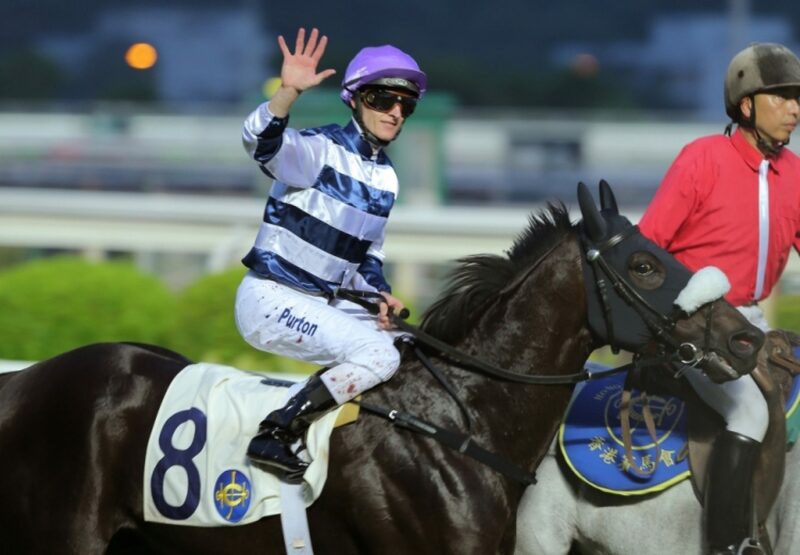 Irish bred Packing Llaregyb (4g Dylan Thomas x Tango Tonic, by Trans Island) posted his first Black Type success in Hong Kong on Sunday when capturing the Sa Sa Ladies Purse HK Gr 3 at Sha Tin. A progressive galloper from the Andreas Schutz stable, Packing Llaregyb has won five of nine starts since coming to Hong Kong after starting his career with David Elsworth in the UK where he scored wins at Newmarket and Musselburgh. He took the 1800 metre feature by a short head, coming from back in the field with a well timed run. “Today everything went perfect,” said Schutz. “They went a nice gallop over the 1800m; the jockey was able to slot him in and get cover and he got the right gap when he needed it. “From then on I was really confident he was going to win. At one stage, about 100m out, he actually looked quite comfortable but then he put his old game in and slowed down towards the winning post, which made it close at the end. The way he’s getting there, it looks like there is something left in him.” Packing Llaregyb is the 17th stakes-winner for Dylan Thomas and is from Tango Tonic, an unraced half-sister to Group II winner Housamix and to the dam of US Group I winner Alexander Tango, who is bred along similar lines to Packing Llaregyb being by Danehill Dancer.